Wilson McOrist. Ranulph Fiennes, foreword. 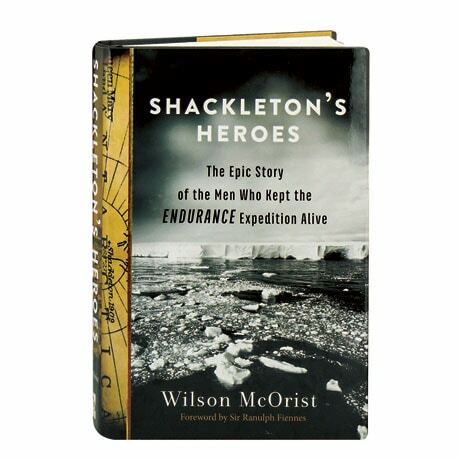 Just over a hundred years ago, Ernest Shackleton led the aborted Trans-Antarctic Expedition, famously saving everyone aboard Endurance after the ship was crushed in the ice of the Weddell Sea. All but forgotten are the heroic efforts of his support team aboard Aurora, who landed across the continent on the Ross Sea to establish supply depots for Shackleton's crossing—and who were stranded there when Aurora too was trapped in ice, and dragged away from shore. Wilson McOrist combed through the diaries and papers of the Ross Sea party to reconstruct their saga in intimate, gripping detail, as they risked and in some cases sacrificed their lives to carry out their mission.